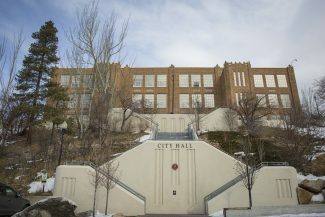 In the week after someone blew up the mailbox outside of Park City Councilman Jim Hier’s Park Meadows house, more shenanigans, although not involving explosives, were reported in the city, the Police Department says. Someone called the police at 3:10 p.m. on Sunday, May 13 complaining that several houses in the Oaks had been egged and toilet-papered. On Saturday, May 12 a house was reportedly toilet-papered sometime before 6:53 a.m. on the 2200 block of Evening Star Drive. On Sunday, May 13 at 11:36 p.m., the police received a complaint a vehicle may have been stolen on the 1800 block of Kearns Boulevard. Officers found it had not been stolen and instead the man’s wife hid it from him because he had been drinking, the police say. An officer warned someone who drove a red pickup truck on the Rail Trail at 8:23 p.m. Motorized vehicle are barred from the trail, which once was part of a railroad spur. On Saturday, May 12 at 9:45 p.m., an officer stopped a driver, wrote tickets for driving with a suspended license and speeding and warned the person he was wanted on a warrant. The officer stopped the person at the intersection of Park Avenue and Deer Valley Drive. At 9:05 p.m., the police were told a man wearing a white and green jacket and gray pants left an establishment on the 700 block of Main Street without paying a bill. The police say the case involves less than $50 and the person who called the police did not want charges pressed. A car was reported stolen on the 1300 block of Lowell Avenue at 8:44 p.m. The police say a laptop computer was inside. The police were told at 8:02 p.m. a motorcyclist was driving on the wrong side of the road at the intersection of Deer Valley Drive and Park Avenue. Someone who called the police said the driver was hitting side mirrors on parked cars, reports say. Two vehicles were in an accident at the intersection of Kearns Boulevard and Sidewinder Drive, the police say, at 5:27 p.m. Nobody was injured and one driver was ticketed for following too closely, the police say. Glass fell off the back of a truck in the Old Town roundabout at 11 a.m. The police say people were seen in the roundabout cleaning up. The police arrested a man, reportedly intoxicated, on a domestic-violence charge in Old Town at 2:42 a.m.
On Friday, May 11 at 10:51 p.m., a white truck reportedly hit another car and left. The case, reported as a hit-and-run accident, occurred on the 1800 block of Kearns Boulevard. An officer was called to the 1500 block of Snow Creek Drive at 7:07 p.m., where a man reportedly seemed impaired as he rode a bicycle. The person was reckless, the police were told, but when an officer found him he seemed OK, the police say. Someone told the police at 6:57 p.m., two men were seen in Old Town and one appeared drunk at the Main Street-Swede Alley intersection. An officer found them and they went to a hotel for the night, the police say. Someone was seen rolling tires down the road at the Prospect Avenue-Mine Road intersection at 2:06 p.m., the police were told. Officers, though, did not find anybody. A truant student was reported missing from McPolin Elementary School at 2:04 p.m. 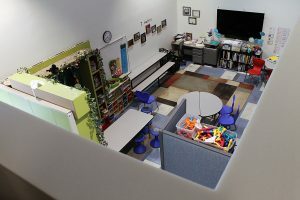 Earlier that day, at 1 p.m., a student was reported truant from classes at Treasure Mountain Middle School. At 11:24 a.m., a man reported his wallet was stolen from the 1800 block of Park Avenue. A credit card inside was used, the police were told, and he needed a report from the police to board an airplane. On Thursday, May 10 at 7:33 p.m., the police received a complaint that a youngster, perhaps between 10 and 12 years old, was shooting a BB gun on the 300 block of Daly Avenue. An officer found the person, who went home. Officers ticketed a child on a tobacco violation at Treasure Mountain Middle School at 12:20 p.m. The police arrested a man at 2:01 a.m. at the skateboard park at City Park on a charge of public intoxication. The person also violated a protective order, the police say. Officers dropped his belongings off at his home. On Wednesday, May 9 at 6:36 p.m., a naked man was reportedly seen in a hotel on the 1800 block of Sidewinder Drive. 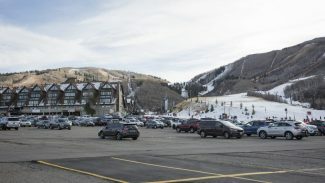 Hotel staffers looked for the man but he was not found, the police say. The police say two piles of landscaping dirt disrupted traffic at the Park Avenue-15th Street intersection at 6:14 p.m.
At 3:04 p.m., someone told the police a credit card was stolen while the person was in South Africa. Officers arrested a man on an intoxication charge on the 1600 block of Park Avenue at 1:21 a.m. 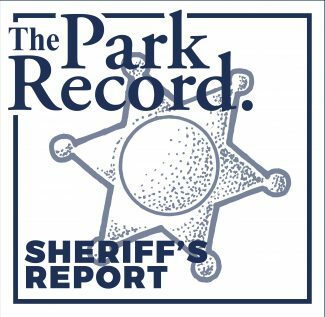 The police arrested a person on a drunken-driving charge on the 1600 block of Park Avenue at 1:21 a.m.
On Tuesday, May 8 at 5:07 p.m., the police found a person riding a bicycle in the skateboard park at City Park. Bicyclists are not allowed in the skateboard park and the person was told of the rules. Someone was concerned about a person, described as suspicious, taking photos of houses in Park Meadows. The person was seen near the American Saddler Drive-Ashley Avenue intersection. At 1:07 p.m., an officer warned someone after finding dump trucks idling on the 700 block of Main Street. On Monday, May 7 at 4:37 p.m., a vehicle was reportedly burglarized on Empire Avenue. A small moose was seen in a backyard on the 2100 block of Monarch Drive at 1:41 p.m.
An officer warned a driver for failing to yield to a pedestrian on Bonanza Drive at 2:56 p.m.